My very first acqua alta, at long last, after a twenty-year wait! 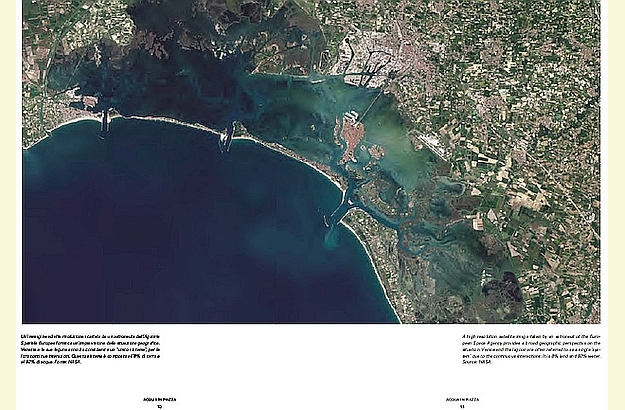 Aerial view of Venice from Jane da Mosto’s new book. 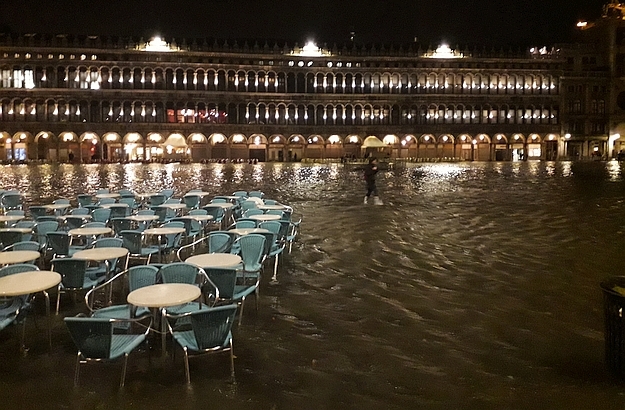 The water flooded the Piazza San Marco in just a few hours. Duckboards and footbridges in front of the San Moisè church turned out to be very useful. 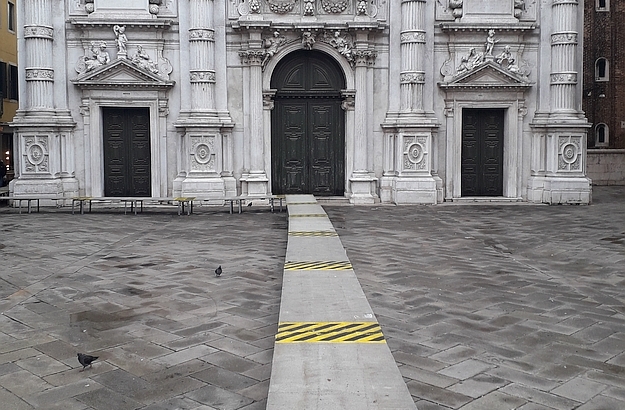 Early on the next day, the water in front of the San Moisè church had already receded! 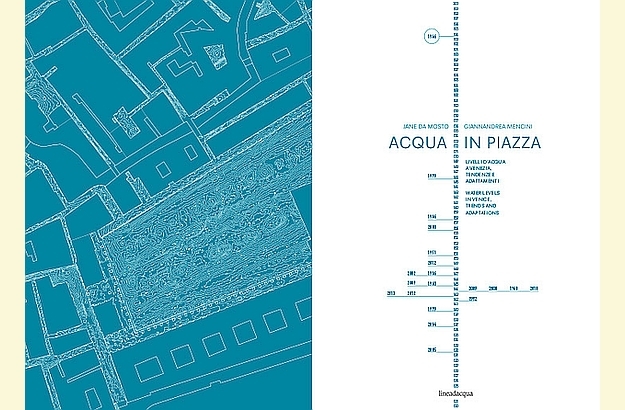 The book Acqua in Piazza, by Jane and Giannandrea, is an excellent read. That day, in November, the water reached an impressive 127 centimeters – the highest level in the whole of 2017 – on what is called the mareographic scale. A third of the Serenissima got under water, believe it or not. When we left the restaurant a few hours after ordering our dinner, gee, I couldn’t believe my eyes: there was water everywhere, and the footbridges were much appreciated, as you can imagine. At daybreak on the following day, I woke up with a start, wondering what the “situation” was in the city. 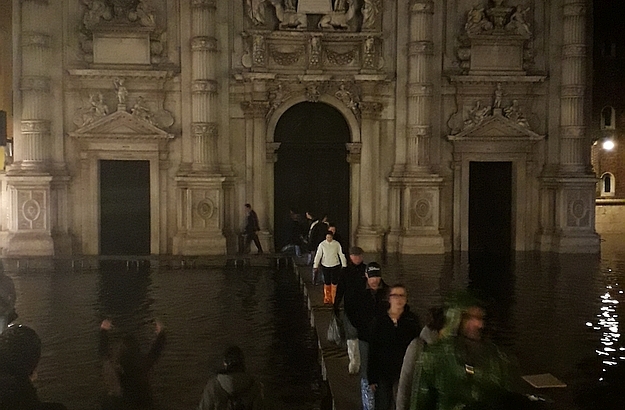 When I left our Palazzo Ca’nova later on in the morning, the water had already receded, much to my surprise, and I no longer had to use the duckboards to cross the square in front of the San Moisè church – it had nearly dried up during my sleep. 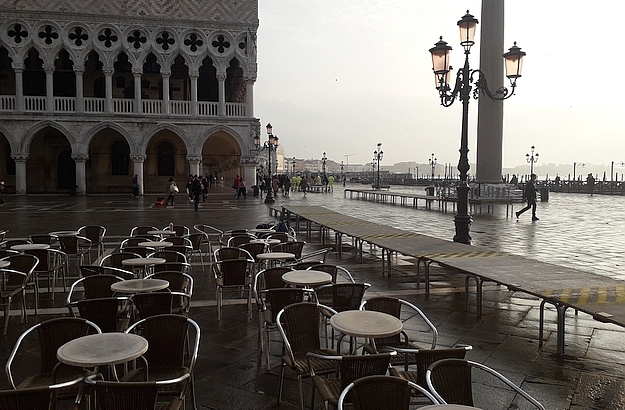 Only the moribund seaweed left behind on the chairs of the Piazza San Marco’s cafés bore testimony to the short-lived acqua alta. 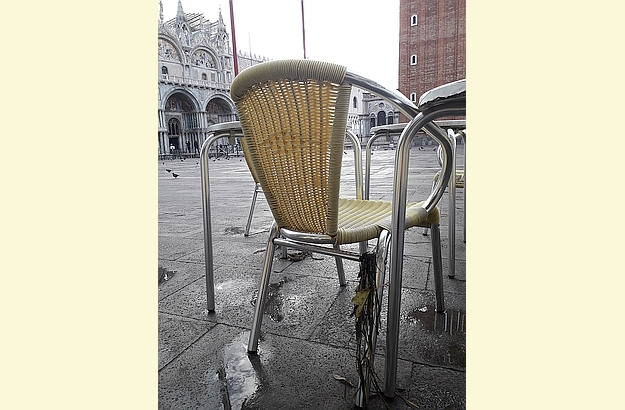 Later that day I walked over to Chiarastella Catalana’s artisan fabrics store, where I stumbled upon Acqua in Piazza, a new book about Venice’s high water, written by Jane da Mosto (whom we have recently interviewed on our blog) and Giannandrea Mencini. The beautifully designed book supplies gripping information about the physics, history and future of the Venetian acqua alta. The Serenissima also has its own web page on the subject!